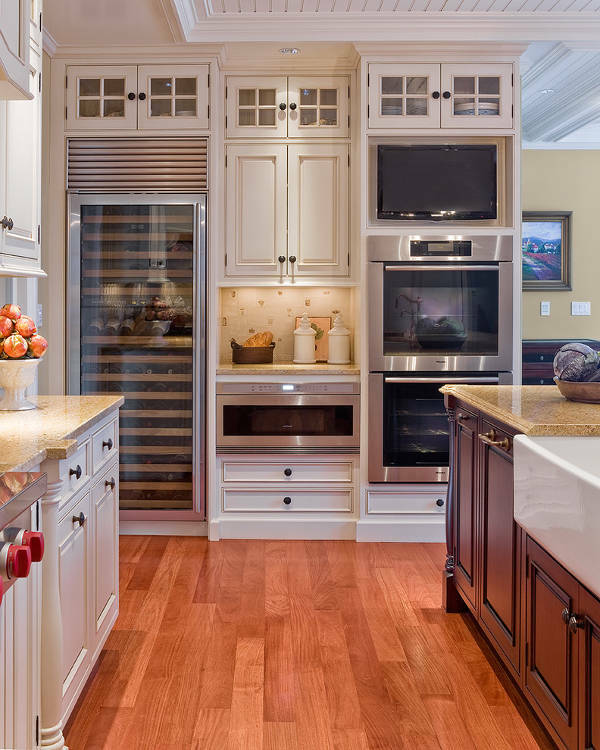 For a small gallery kitchen, you can place the long floor cabinets along the longer walls. A brown floor ideal for the kitchen. Use marble countertops on the cabinets to get a classy look. This design is ideal for restaurants and bars. When you have a square area, this is the ideal design. There are countertops on three sides along with all the necessary accessories. A large window on the rear wall makes the room bright. Get a bright round light suspended from the middle of the ceiling. 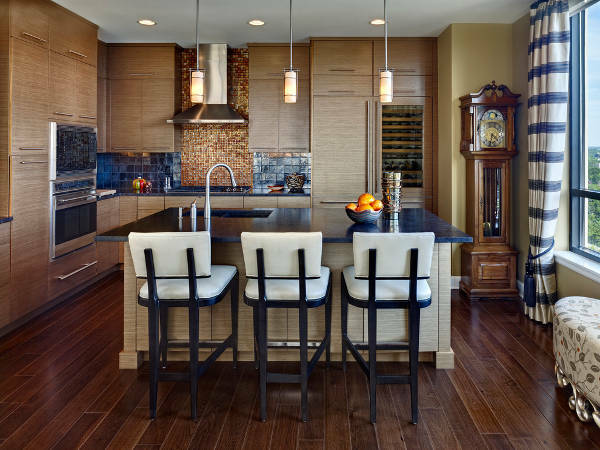 In these kitchens, get a large kitchen island so that you can arrange for dining setting on the other side. 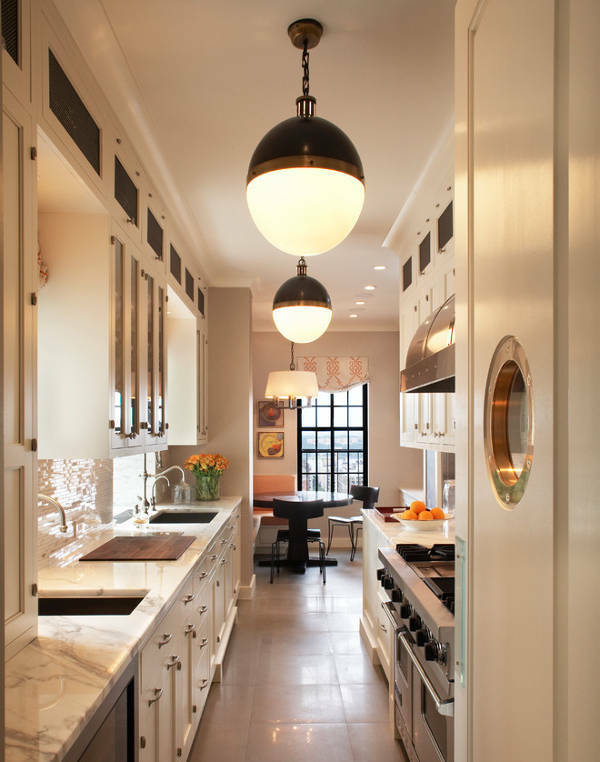 Get a ceiling light right above the island, and white walls are ideal for the kitchen. In a small modern kitchen, you can make optimum utility of space when you have wall cabinets on all sides of the shorter wall. In the centre, you can incorporate a countertop made of black stone. White walls and ceiling go well with the setting. 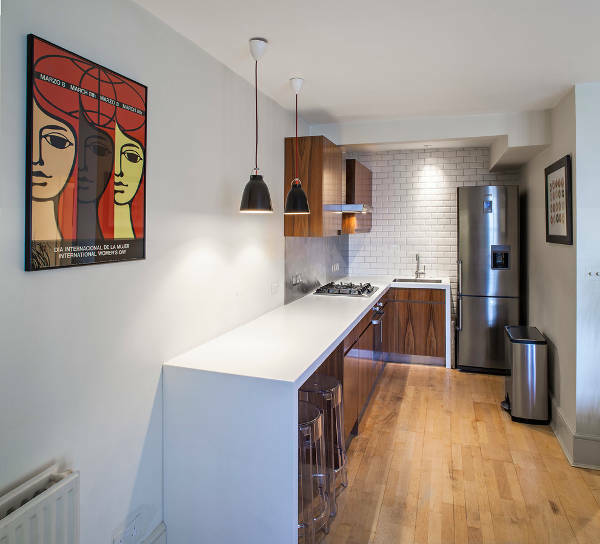 In apartment kitchens, the shelves are placed high on the wall. The floor cabinets are white in colour to create a good match with the shelves and walls. Sophisticated interior design adds to the elegance of the kitchen. 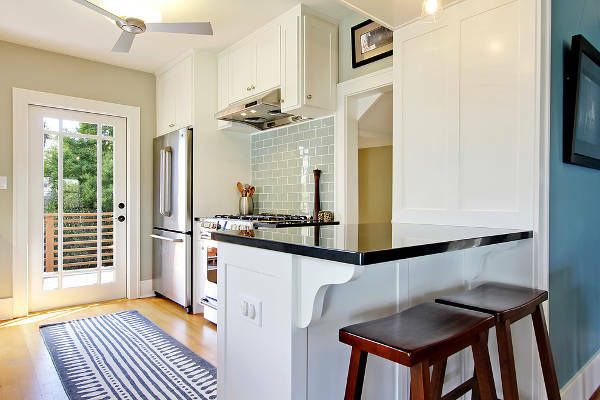 In a small kitchen, use the space under the countertop to place necessary gadgets. The walls are fully used to make room for shelves. Small floor cabinets are incorporated to ensure every bit of space is used. When there is a limited space in restaurants, you can go for centrally positioned kitchen islands. The steel island goes well with the white interior. You can use the surrounding space for movement and placing other accessories. In ‘L’ shaped kitchens, you can fix the floor cabinets along the side walls. Just above the cabinets, you can fix the shelves. 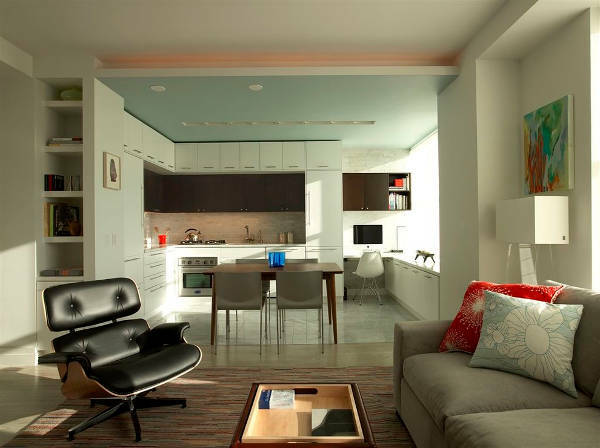 Use light brown for both the furniture and make room for a countertop in the small space in between them. If you have a square kitchen, you can complement the architectural beauty with classy furniture. The cabinets and shelves are all polished in cherry colour. A grey backsplash is ideal for the room. 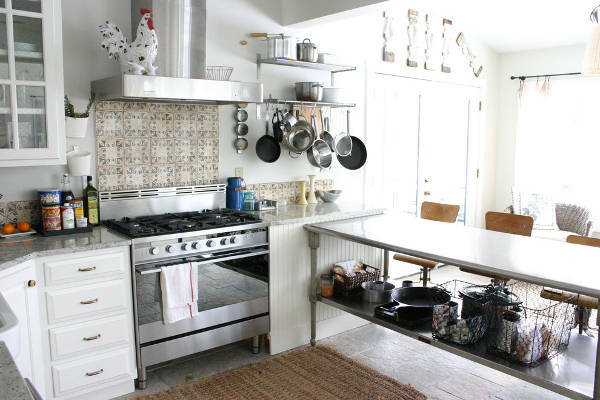 In the case of small commercial kitchens, fix the tall cabinets along the walls and make use of the corners. A wooden floor is ideal for the setting. 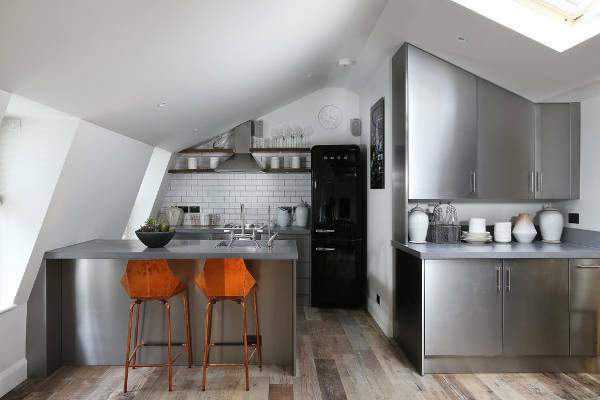 Get a steel kitchen island in the centre. White kitchens are sophisticated, and you can incorporate light brown countertops in this kitchen. 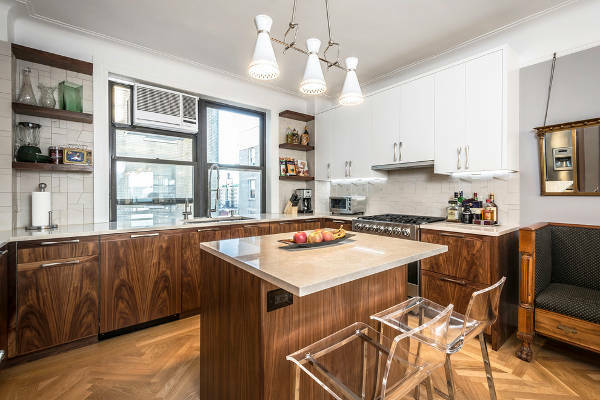 The shelves and cabinets are also polished in a light wooden shade. White pendant lights are ideal for the setting. Contemporary kitchens have a bright look with large window panes. You can make use of the available space by fixing the shelf in a corner. You can also use the drawers in the cabinet to place accessories. 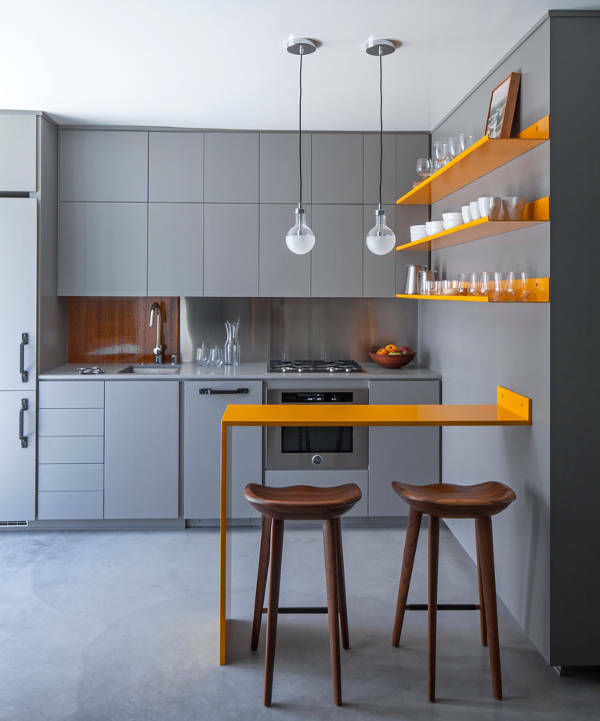 When you look out for a bright mix of colours, go for orange, black and cream coloured tiles for the walls. The small square tiles look beautiful when you have bright lights in the kitchen. 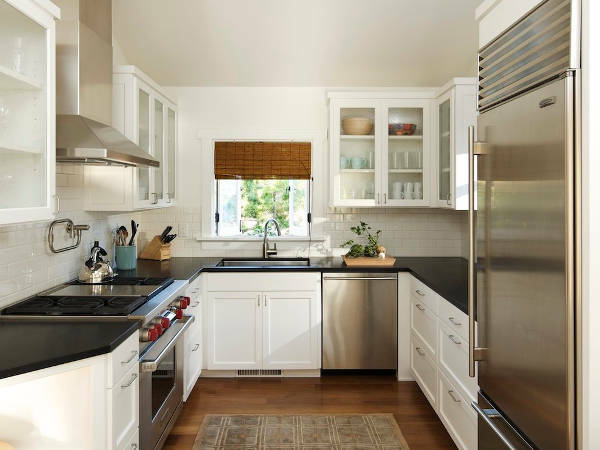 When you look out for small kitchen design themes, you need to be specific about the interior design. 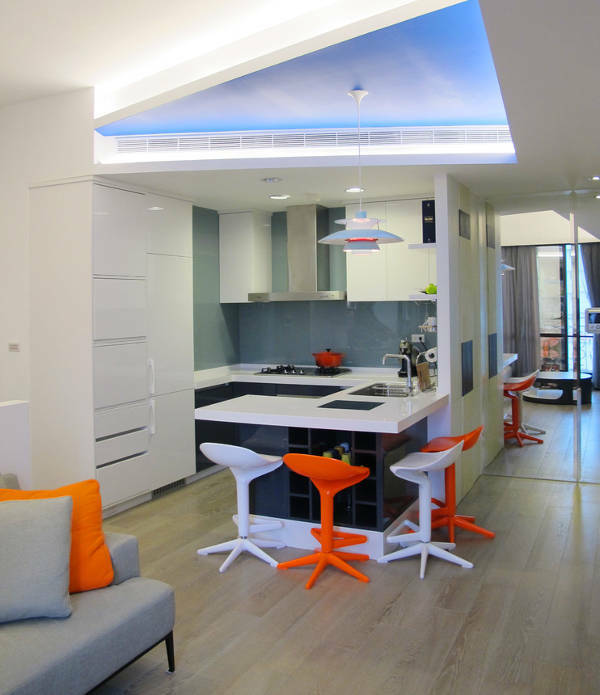 At the same time, you need to create a compatibility with the walls colour, floor design and other aspects in the kitchen. 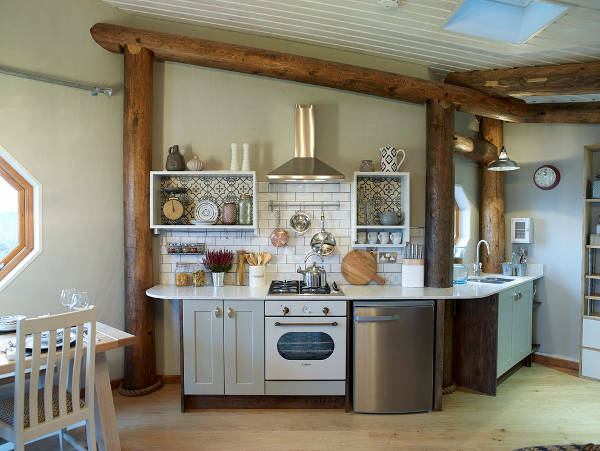 There are new ideas coming up every day, and if you innovate a new small kitchen design idea for your home, you can share it with us.